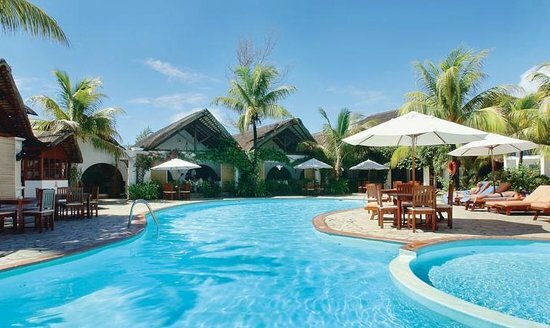 Limpid blue waters, white sandy beaches, shady filao trees… what more could you want? 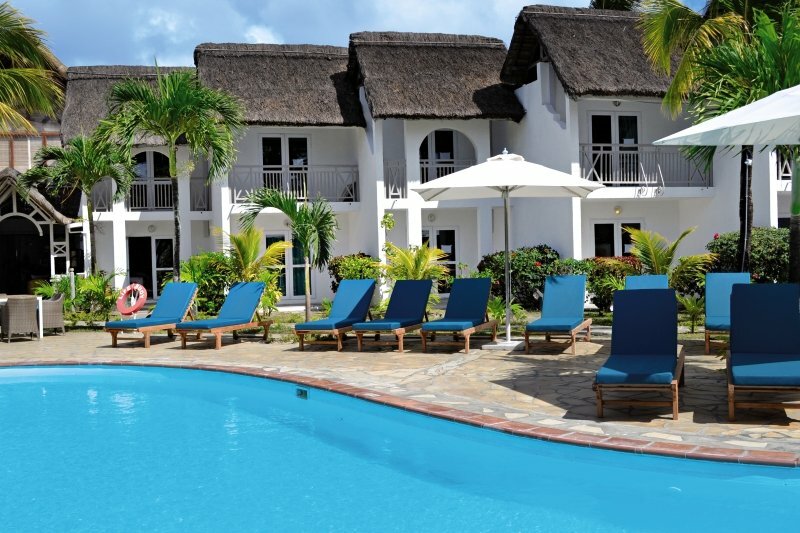 Veranda Palmar Beach Hotel is an ALL INCLUSIVE 3 Star hotel on the superb east coast of Mauritius. 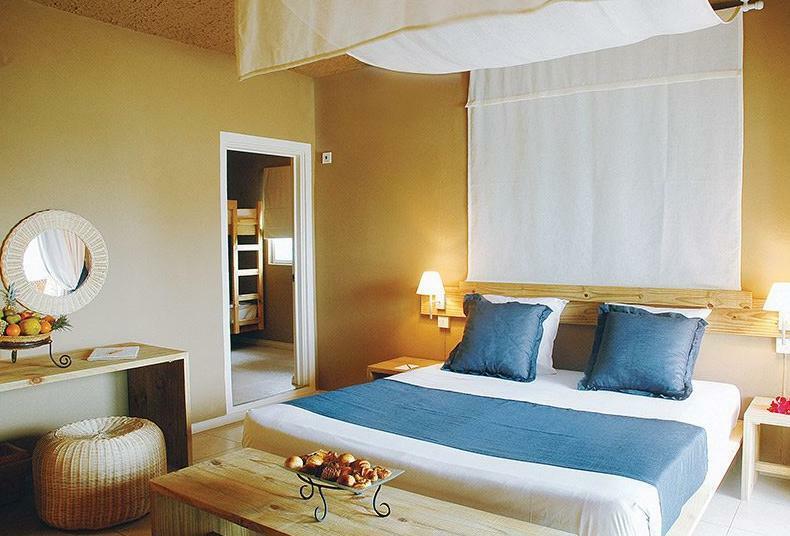 This seaside hotel offers a whole range of water based activities. Thatched roofs and whitewashed walls surround a garden with brilliant bougainvillea, coconut palms and royal palms rustled by the cool sea breezes. Validity 06 – 31 April2019. Price from R18 930 pps | All Inclusive| departing JNB 18, 20 & 21 April 2019. March Sold Out. Validity 06 May – 13 Jun (mostly sold out!) & 09 Jul – 15 Sep 2019(many dates already sold out!). Winter Special 35% discount! FOOD AND BEVERAGES • Daily breakfast buffet as from 7am to 10am. • Daily dinner as from 7pm to 10pm in buffet style or table d’hôte at the main restaurant. • Daily lunch as from 12pm to 3pm in buffet at the main restaurant • Afternoon tea/ coffee & pancakes as from 3pm to 5pm at the main restaurant. • Soft drinks, juice, mineral water, local beers, selection of cocktails, local spirits & house wine by glass available at the main bar as from 11am to 11pm. • A picnic hamper will be offered to guests going on outings/ excursions (to be booked at reception, 24 hours before the outing). ADDED VALUES • Free WIFI available at the Reception area, lobby, around the main swimming pool, at main bar/ restaurant and on part of the beach. No internet in rooms. • Land and water sports (as described on hotel’s fact sheet) • Pool Service: Drinks and a selection of snacks can be served to guests around the pool (charge may apply). Free access to the main areas and facilities of: Veranda Pointe Aux Biches, Veranda Paul & Virginie and Veranda Grand Baie (subject to availability at the sister hotels. Inter-hotel transfers not included. Lunch and dinner (excluding drinks) upon booking only – No extra cost. In the evening, when you will feel satiated, you will enjoy Sega, Indian or African happenings. Live music and DJ’s are organised to encourage you to warm-up the dance floor.